If you have ever suffered from insomnia you know the pain and suffering that it takes on the body. The fact is, lack of sleep is bad for your health. It can be extremely hard on quality of life and wellbeing, it makes day to day tasks more difficult and it raises the risk of chronic disease. 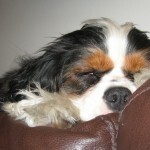 When treating working through sleep issues there are many things to consider. There are many causes and everyone’s situation is slightly different. Some have trouble falling asleep, others wake to urinate multiple times per night and some just wake every night at 3am and cannot fall back asleep. There are even more examples than this if you don’t notice your pattern here. The most difficult example is those who are afraid they won’t fall asleep. Again, a separate treatment may be helpful in these cases. When it comes to treating insomnia there are many routes to choose. Usually people will show up to my office either on Zopiclone or Ativan depending on their cause. These are prescriptions that often are successful for treating the symptoms but as soon as anyone tries to come off of them they once again cannot sleep. 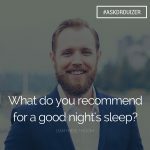 Aside from all of the natural treatments for insomnia (see a separate article I did here) I wanted to point on some of the lifestyle choices that are helpful in all cases. These are things that just may seem too simple to even bring up or they may be things that you haven’t considered in a while and could consider trying again. Amy and I did a Healthy Rebel Radio episode on these examples (listen here!) and it ended up being a powerful show with lots of good examples for how these have worked for us. 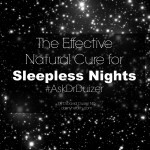 Below I will go over these simple options – If you have insomnia and haven’t tried these items as treatments they may be good choices to consider. 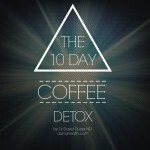 They are effective, safe and great for overall health. 1) Full Body Workouts – If you aren’t sleeping you may want to artificially burn off some steam. Exercise is an excellent treatment for insomnia. It is easy, free and effective. Tiring out the body can be so helpful for sleep it is shocking. I recommend a full body workout like swimming (remember as a kid not being able to stay awake after a good long swim?). Other good options are full body functional workouts using your own body weight. Think burpees, pushups, squats, lunges, etc. These exercises work big muscle groups and tire the whole body out. If you haven’t done a full body workout in a while and are having trouble sleeping this may be a good option for you. 2) Avoid Liquids Before Bed – This may seem obvious but you would be surprised how many aren’t following this one simple piece of advice. Avoiding fluids within 2 hours of sleep (unless it is 1/4 cup of sleepy tea with chamomile and passionflower or other drowsy herbs) can be extremely important for achieving a long, deep sleep. Many will wake to urinate with the slightest glass of water and others just can’t handle the bladder pressure of having consumed fluids before bed. If you are waking to urinate multiple times per night you may want to consider reducing your fluid consumption before sleep or seeing a physician for a urinary tract, bladder and kidney assessment (and prostate for males). 3) Activate NightShift! – Finally, and this example has been brought up in the media thousands of times over the last few months: avoid technology before bed. This is incredibly important. 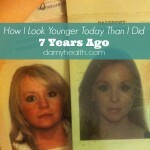 I have explained why on the blog before (here) and spoken about it on the show (listen here!) but the short of it is – we need to release melatonin to sleep – this doesn’t happen if we are on our devices. Apple’s new NightShift mode is an awesome solution to this problem for those who absolutely have to be on devices at night. Amy still recommends complete avoidance but we all know it isn’t going to happen 100% of the time for most of us! I love the new NightShift mode and have seen my sleep improve since adopting the change. There are many nights where I cannot avoid technology after sundown because of work commitments. The NightShift Mode (and F.Lux App for Mac) have been great solutions for avoiding stimulating blue light from devices. These examples are very simple, they aren’t for everyone and you may already be doing them. If you aren’t or have only randomly tried them you may want to consider committing to them for an extended period of time. Focus on get yourself out of bed in the morning when you regularly want to wake (no matter how tired you are). Take in some sunshine asap (first thing in the morning) and try to keep a schedule (even on weekends). If you follow these guidelines and still have problems sleeping consider a Naturopathic Physician for supplement recommendations before choosing a prescription medication. The next line of options are easy, inexpensive and naturally recognized by the body. To hear our experience with these options read my article (here). Sleep is one of Amy’s top trends for 2016. So far she has been absolutely right on. This is the year of sleep. After so many years of recommendations in business telling us to push through and work harder now we are learning that a healthy mind and body require adequate sleep. It is a core component for getting “ahead” in life. Enjoy your Z’s! 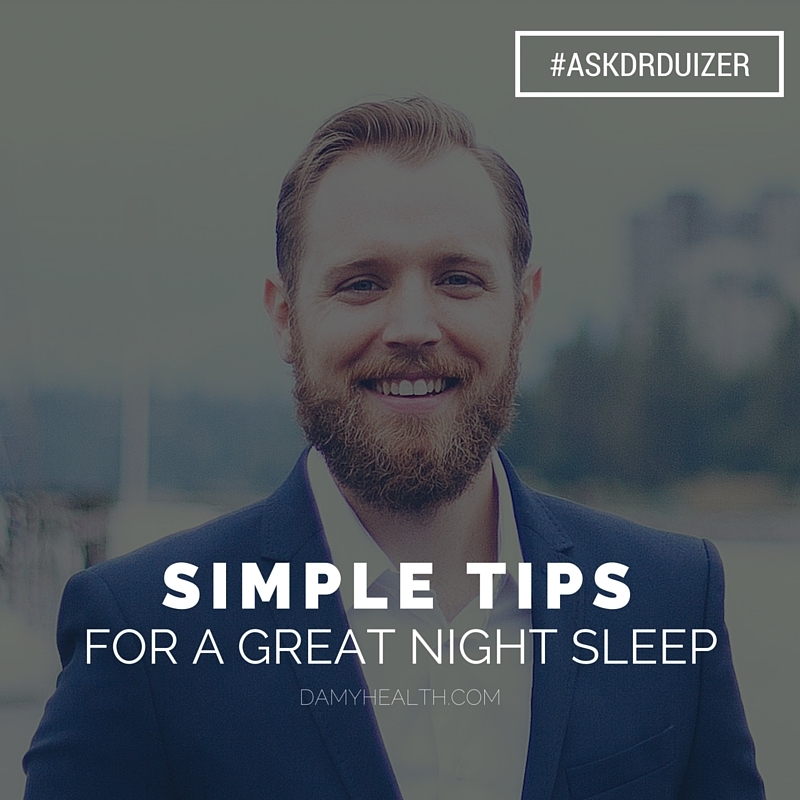 #ASKDRDUIZER – What do you recommend for a good night’s sleep?